Dear Friends of Nepal, Namaste! It seemed like the main problems after the earthquake are over, but this is not true. The biggest problems are now coming up in many mountain areas. 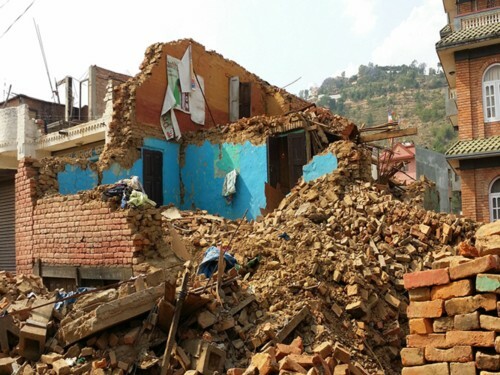 In the Gorkha district, for instance, the epicenter of the earthquake, several big mountain slopes could have mudslides. 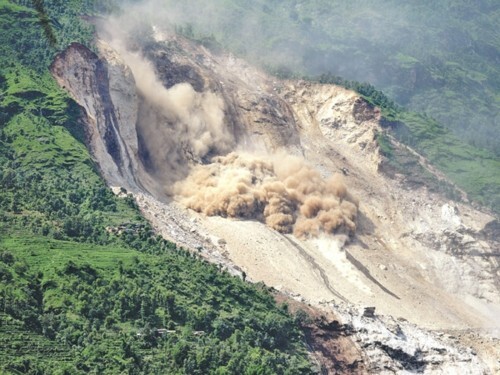 Entire hillsides have become unstable and landslides are common. We were anxious to begin the construction of the health post in Keraunja and also assist in building a new school. The school cannot be rebuilt on the old site as the ground is unstable so we need to find an alternative site. The site of the destroyed health post seems fairly safe. After the monsoon, in a few weeks, it will be known what and where to build. 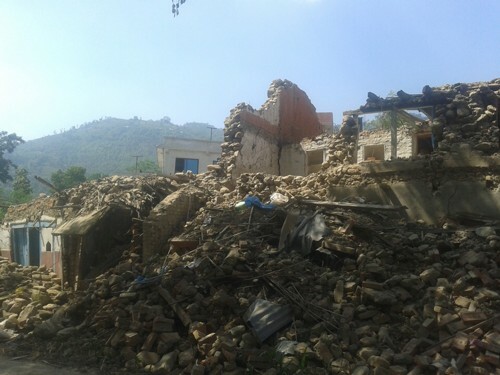 Many residents of Keraunja are evacuated and are now living elsewhere, in Kathmandu or with relatives in safer places. A large proportion live in self-built shelters with tarpaulins covers. 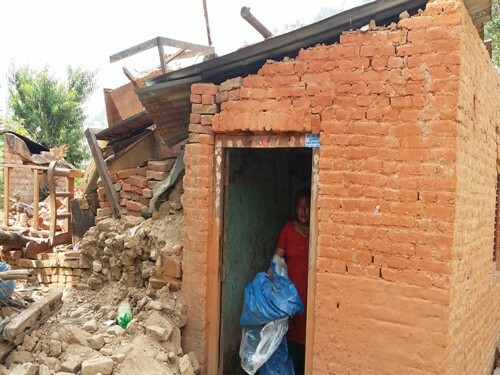 There were about 475 houses in Keraunja, most are heavily damaged or completely destroyed. It is impossible with the limited funds raised by Sponsortrek to give help on an individual basis. Luckily, everyone is now equipped with emergency facilities. We currently have approximately € 20000 to 25000, and if you give individual help, that amounts to a maximum of € 50 per household. This is insufficient. These will be built earthquake-resistant but the present amount raised will certainly not suffice. After the monsoon, it will be decided where the health post and school could be built. Bhimdunga is about 2 hours drive from Kathmandu is. Tendy Sherpa was contacted if something could be done about the situation there. 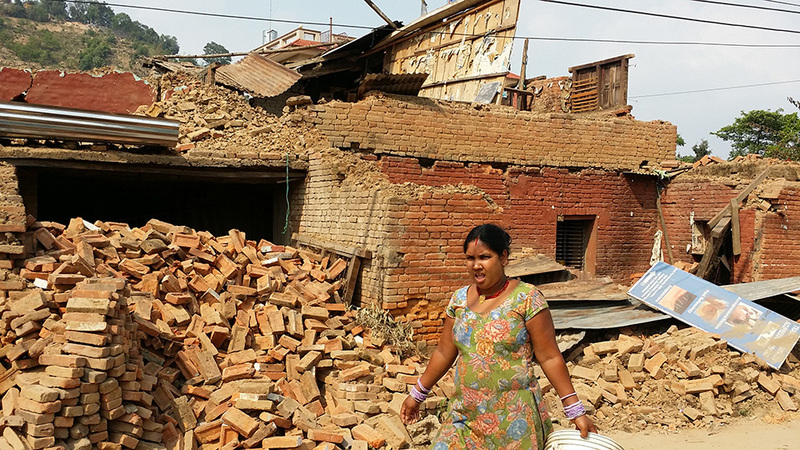 Here, only very poor people of a lower caste live and help during the earthquake was very limited. We immediately consulted Tendy to bring tarps and blankets costing approximately € 1700 euros so that they could build emergency shelters. Click here for the story of Tendy. Tarpaulins and blankets are distributed by Ramji Tamang and Mingmar Sherpa for emergency shelters. 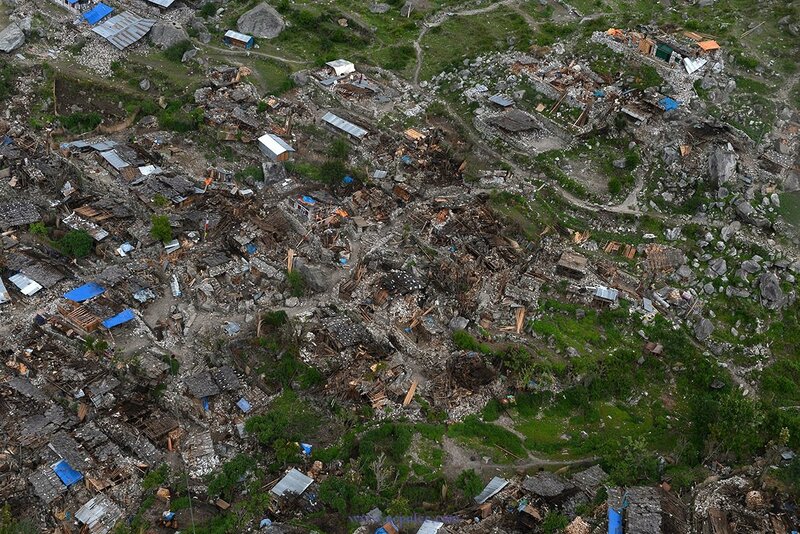 The devastation is hard to imagine and people need to build a temporary home with tarpaulins. The staff of Iceland Trekking was not forgotten, some 30 "Sherpas" with damage to their homes each received approximately € 400. In Nepal this is a large amount. 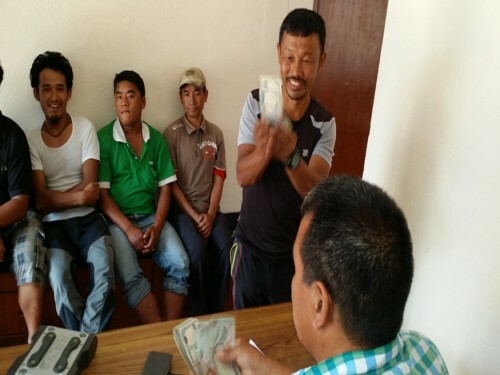 We contributed € 1700 and indirectly by a collection in Kathmandu another approximately € 5,000. The rest was raised by Tendy and other trekking and mountain climber companions from other countries. enough work for the next season. We hope in October / November, after the monsoon to get more information regarding Keraunja and then finally be able to start the reconstruction. All our sponsors we say once again, a grateful thanks.